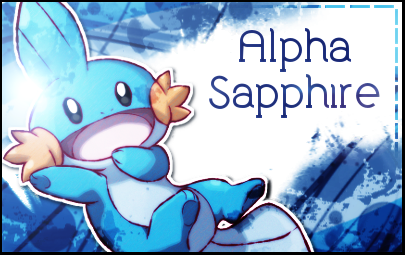 I liek dem Mudkipz, y'know. Sorry for me not getting to the forum fast enough. I couldn't find it. Hey, I'm interested in your music patches. Will they also work on hacks in progress? Mine is KingRedEagle. What be yours? They've reset this site a few times and it reset my join date. Yeah~ I've had this account here for many years (I'm guessing 5 or 6 lol). Yeah. It's actually the same account, just a name change. Contact me also on PC. Can you send to my mail your Beta of BW/B2W2 patch for FireRed? Your project is great dude... I can use it on my Pokemon Black Demake <Which my rom base is Pokemon Ruby> ? 10:37 AM - Lazura quoted mewthree9000 in post [PROGRESSING]Pokemon FireRed Black/White Music patch! 12:59 PM - mewthree9000 quoted Lazura in post [PROGRESSING]Pokemon FireRed Black/White Music patch! 11:23 AM - Lazura quoted mewthree9000 in post [PROGRESSING]Pokemon FireRed Black/White Music patch! 04:04 PM - AriNikoBradshaw quoted Lazura in post [PROGRESSING]Pokemon FireRed Black/White Music patch! 02:17 PM - Lazura quoted AriNikoBradshaw in post [PROGRESSING]Pokemon FireRed Black/White Music patch! 08:46 PM - Lazura quoted AtecainCorp. in post [PROGRESSING]Pokemon FireRed Black/White Music patch! 05:26 PM - Lazura quoted Team Fail in post [PROGRESSING]Pokemon FireRed Black/White Music patch! All times are GMT. The time now is 01:26 AM.